A DOCUMENTARY ABOUT WAR, TRAUMA, AND SURFING. 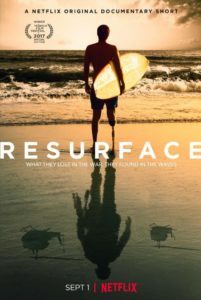 Resurface tells Bobby’s story and explores the question: How can surfing change the lives of military veterans? 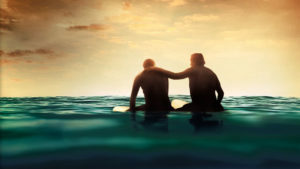 More and more research has demonstrated the healing effects of surfing on the brain and body. Organizations like the Jimmy Miller Memorial Foundation, Operation Surf and Surf Action are now acting on this research, turning to ocean therapy to help active duty Marines and vets cope with physical and mental trauma. 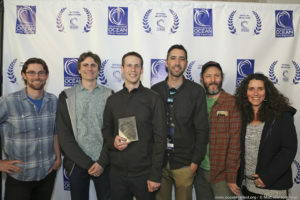 In Resurface, we were really able to use sound to subtly — and occasionally not so subtly — render physical the environment of the ocean, in all its flow, energy and constant change. Care was taken with background sounds and ambiences to carry a degree of variability and a certain reliable quality of unsteadiness. Also – A great deal of invisible work was done to render the interviews as clear as possible, helping the audience connect emotionally with the subjects.